When someone is victimized by another's negligence, there must be compensation to make the injured party whole again. The term "personal injury" is a broad expression that encompasses a broad range of topics. We have compiled herein a list of common types of personal injury cases we handle. The following few paragraphs contain important information for anyone who believes they have been the victim of another's negligence. As always, it's best to immediately contact our office to schedule a complimentary initial consultation. If you have been injured in an accident, you can expect to immediately hear from a claims adjuster. This is the person assigned to represent the company or individual responsible for your accident. The adjuster will seek to to record their conversation with you. Do not grant them permission. They will come across as caring and concerned about your injury when in reality that could not be further from the truth. In reality, they are starting to build a defense for their client. Leading questions will be a big part of their manner, as they try to trick you into admitting some, if not all, fault. You will be asked to sign a medical authorization to obtain all of your medical records, including those before the accident and those involving unrelated health matters that have nothing to do with your case. They will also try to obtain a medical authorization from you so they can find out everything about your medical history, including, and especially, any previous injuries. We encourage you to decline everything for which they ask. Hire an attorney and refer the adjuster to your counsel. 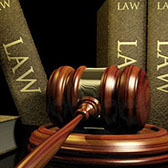 Our office takes on each personal injury case on a contigency basis. This means you pay nothing up front and we receive compensation only if you are awarded money. If you do not receive an award, we get nothing. Typically, our fee will be equivalent to one-third of the award (less fees and expenses). In cases that require extraordinary amounts of legal work, such as those involving medical negligence or product liability, our fees could be higher. The smartest decision you can make is hiring The Law Office of Stephen M. Dodd as quickly as possible. The success of so many cases often depends on the evidence collection, photographs, witness identification, and expert testimonials. Multi-million dollar cases have been lost because of delays in hiring the right attorney to investigate and document claims. Insurance adjusters are known to take advantage of accident victims by arriving at hospitals right after an accident. Insurance companies very often train their adjusters to convince victims not to hire lawyers. Their objective is to minimize, or altogether, eliminate the amount they will be forced to pay you.